At Luedeker Homes, we realize your home is one of your most important assets. We want to help you realize the full potential of this investment. Our experienced team will walk you through the process of custom home construction or remodeling your existing space. With backgrounds in construction, architecture and business, each team member brings a different perspective to the project. Our subcontractors are carefully selected for their years of experience, quality and attention to detail. All of our work is strictly custom. We are there with you every step of the way to ensure that the home is meeting your expectations. To help make your unique vision a reality, Luedeker Homes offers design assistance for your custom home or remodel. Your home is much more than the structure itself. It is where life happens. Each home is personal and unique, and the building experience should be as well. Let us help make your home much more than the material that goes into the dwelling. We will make your home reflect your family. 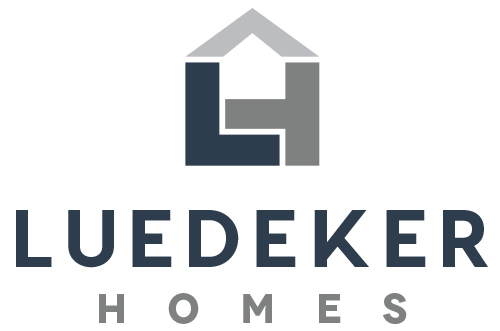 Luedeker Homes is committed to exceptional quality and service and is fully insured.